Last summer the DEP announced the M.A.P. (Motorized Access Plan) for Wharton State Forest. This plan was an attempt at preventing damage done by off-road vehicles to certain areas of the forest. The plan called for the blanket closure of over 50% of the roads and trails that exist in Wharton State Forest. Naturally, the public was outraged – not at the fact that there needs to be something done about damage caused by irresponsible ORV use, but that the plan was developed in secret without any consultation from the various user groups who make use of Wharton State Forest. 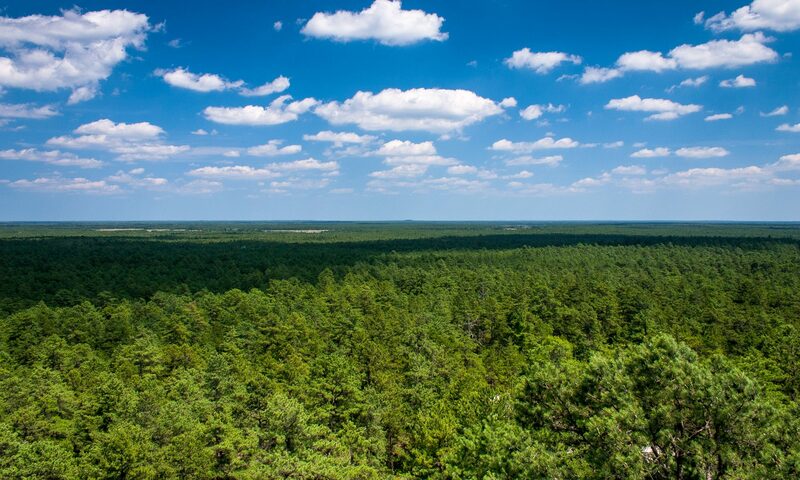 The DEP did, however, solicit input from the Pinelands Preservation Alliance, a radical environmental group that has long advocated closing off the majority of the roads and trails through the Pine Barrens to motorized traffic. The most egregious part is that this plan was developed using grant money earmarked for the establishment and maintenance of recreational trails. The DEP Commissioner’s office in Trenton was flooded with emails, letters, and phone calls. Finally, Commissioner Robert Martin (who was likely just as blindsided by the M.A.P. as the general public was) saw that it was imperative to get input from the people who use the forest. It wasn’t just motorized recreation groups that spoke out against the M.A.P. either: sportsmen, botanists, herpetologists, hikers, canoers, equestrians, historians, photographers, geologists, and even other environmentalists spoke out against the plan. The resounding cry was that everyone acknowledges the problem of irresponsible ORV use, but a blanket closure (that would be largely ignored by the scofflaws that cause all of the problems anyway) wouldn’t be effective. Everyone wanted to be part of the solution but wanted a more transparent and fair approach to figuring out what areas should be targeted for closure. While the DEP was engaging the public the Pinelands Preservation Alliance and the New Jersey Conservation Foundation began trying to spin the story of the M.A.P. by taking reporters out to the most damaged areas (that nobody would have argued should stay open), issuing press releases full of blatant mistruths, and characterizing anybody who was against the M.A.P. as advocating for turning Wharton State Forest into a “private ORV park.” Fortunately, most reasonable people saw through these groups’ cynical attempts at controlling the discussion. Ultimately the DEP decided to put the M.A.P. on hold while they gathered more information and worked towards crafting a plan that would protect the most sensitive areas in the Pine Barrens while maximizing the amount of access that would stay available to the public. The PPA then embarked on another spin campaign, camping out in Trenton to harangue legislators by showing scenes of over the top ORV destruction as they entered the capitol building, attempting to flood the DEP Commissioner’s office with letters from their supporters, and taking out a rather misleading advertisement on a billboard just steps away from the DEP’s office. Now they’re attempting an end run around the DEP by appealing directly to the Pinelands Commission, the advisory body that sets the rules governing development and protection in the Pine Barrens. Their goal: to have the Pinelands Commission command the DEP to implement the M.A.P., despite the massive outcry from the public against it. The commission is considering using the 2014 USGS topographic maps as a baseline for what roads should be open. The issue there is that in 2009, for cost savings purposes, the USGS stopped tracking unimproved roads, instead relying on other sources of data provided by commercial GIS organizations, that has proved to be largely incomplete. As a result, the last valid baseline should be the 1997 edition maps that show the majority of roads through Wharton State Forest. Those maps are the ones that the USGS refers people to when they ask about a more complete road map. Incidentally, the DEP sells the 1997 maps in the Batsto and Atsion ranger stations and has told people that they’re allowed to drive on any road that appears on them, provided the road is not marked as being closed to motorized traffic. We support using a USGS Topographical map to establish a baseline of roads, however the 1997 map must be used as it is last complete map of roads in Wharton State Forest. We believe that the Pinelands Commission act as an advisor to the DEP and provide a recommendation, but not compel, the DEP to take a specific action. The DEP is in the best position to develop a plan to protect Wharton State Forest. To prevent another debacle like the first iteration of the M.A.P. we’re encouraging people to get out in front of the issue and contact the Pinelands Commission immediately. You can easily contact them by going to this link, filing out the form, and clicking submit. We’ve prepared some sample text to use or modify as you see fit. While I agree that USGS topographical maps should be used to develop a baseline of roads in Wharton State Forest, the 2014 map is not valid for this purpose. In 2009 the USGS stopped tracking unimproved roads for cost savings reasons and instead relied on other external sources of data, which are largely incomplete. “Unimproved roads” are the primary type of roads that traverse Wharton State Forest. As as result, the last valid documented baseline for Wharton State Forest is contained in the 1997 USGS topographical map, which is the last edition of the USGS map to contain an accurate record of the roads through the forest. Further, I do not believe it is appropriate for the Pinelands Commission to compel the DEP or other agencies to take specific action with regards to the Wharton Motorized Access Plan, but rather the Commission should act as an advisor to the DEP. As a result of the recent issues and firestorm around the MAP, the DEP is now aware of what needs to be done and should be given the time to develop a new plan, which should include increased enforcement and education. By compelling action at this time, there could be unintended consequences that might actually hinder the DEP and State Park Police from resolving the current issues with irresponsible ORV use. The DEP is in the best position to determine, with input from the public, the best course of action to follow.